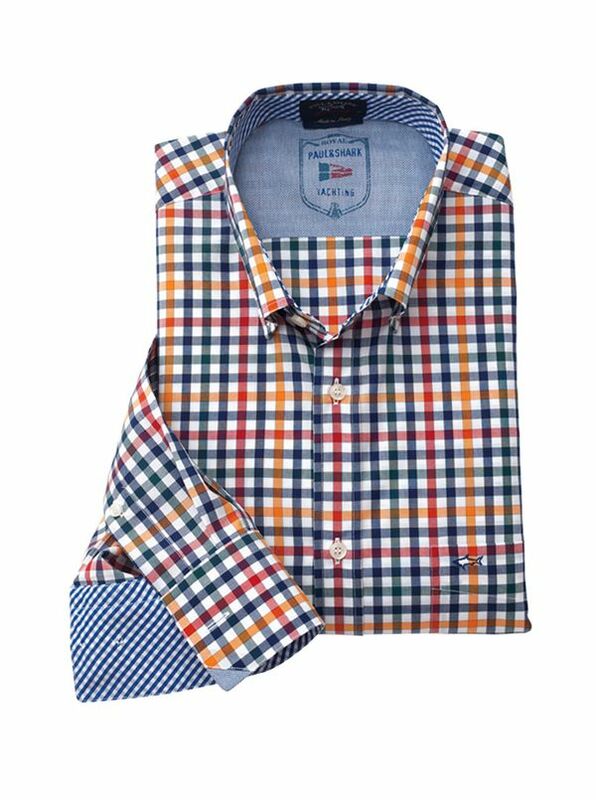 Multicolor Check Sport Shirt by Paul & Shark with contrast time inside cuffs, collar. Paul & Shark Sport Shirts, all pure cotton, all made in Italy, all shirts to love through the years. Tailored in Italy, with button down collars, long sleeve, single pocket.